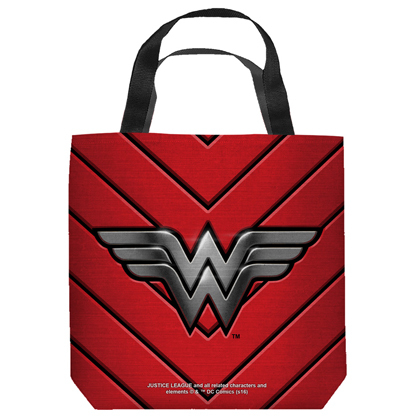 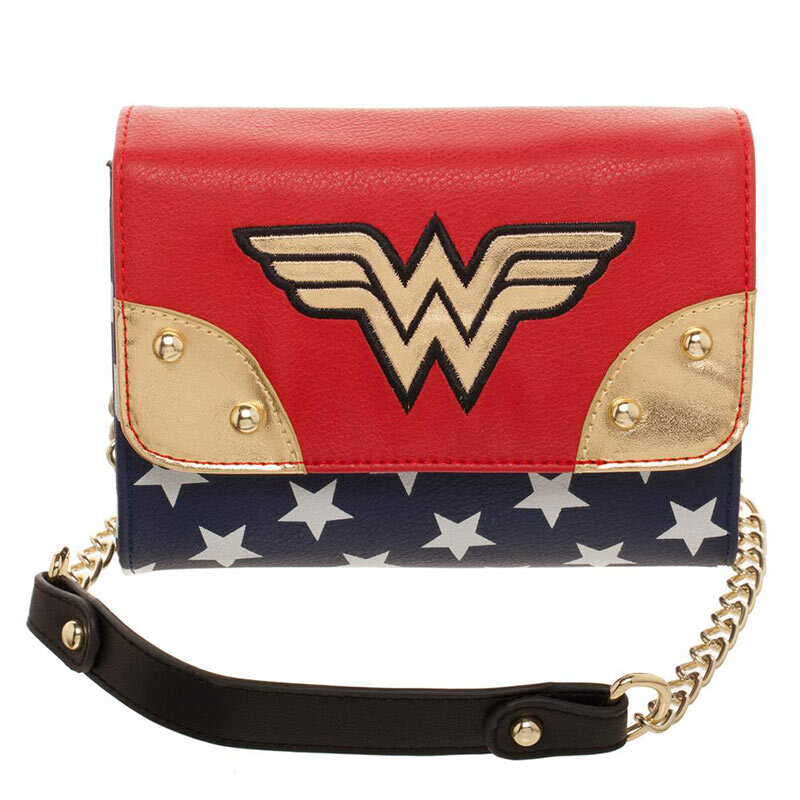 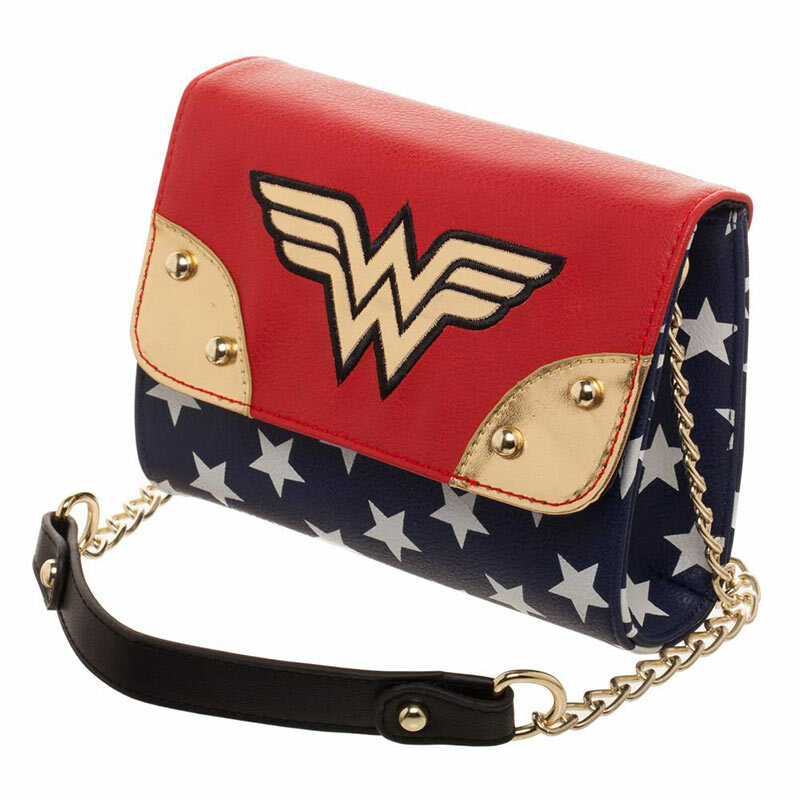 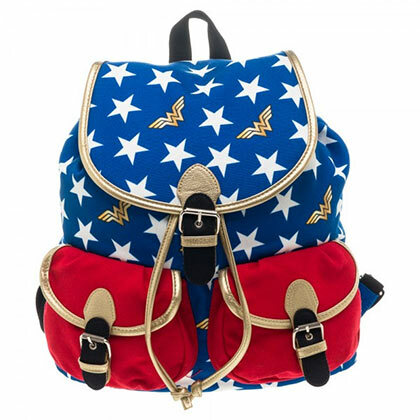 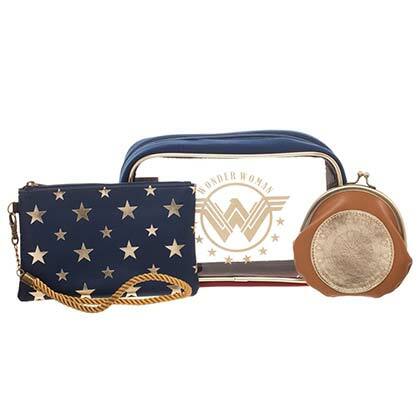 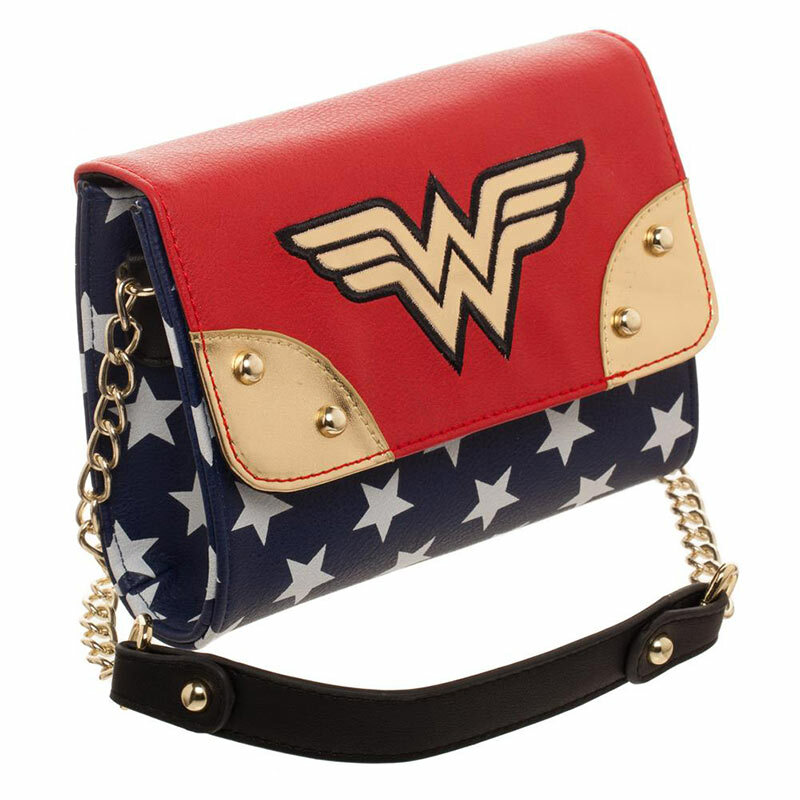 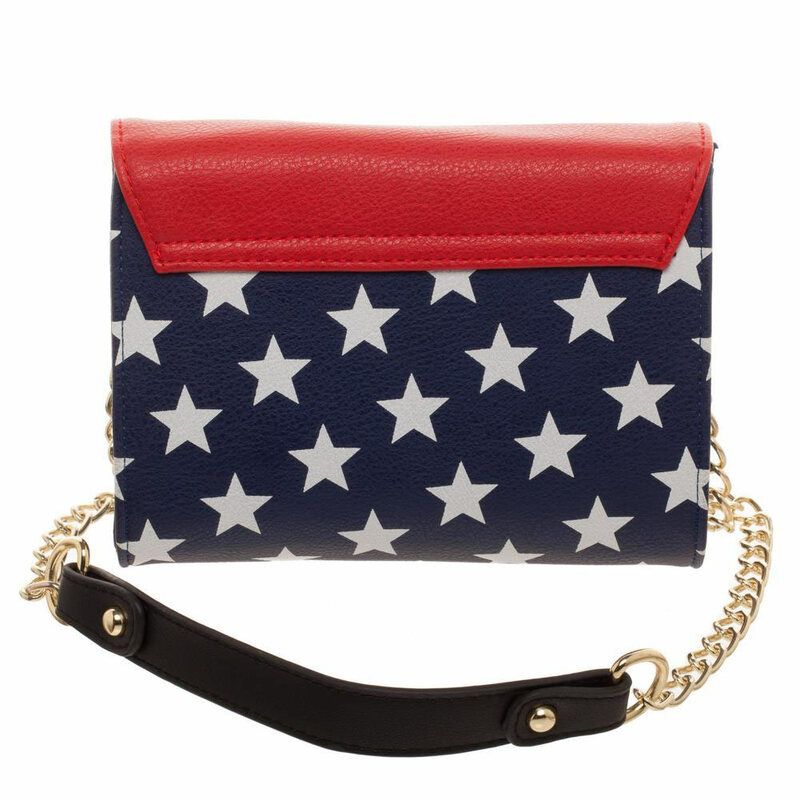 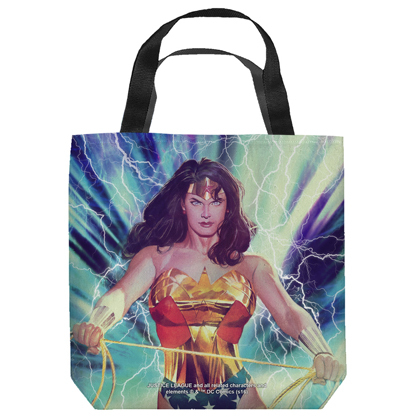 Red and blue juniors Wonder Woman sidekick purse. 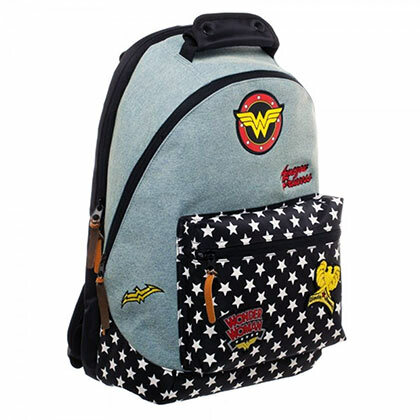 This bag measures approximately 7" W 6" T 2.5" D (at base) and includes a 40" removable metal chain shoulder strap with inner zipped pocket. 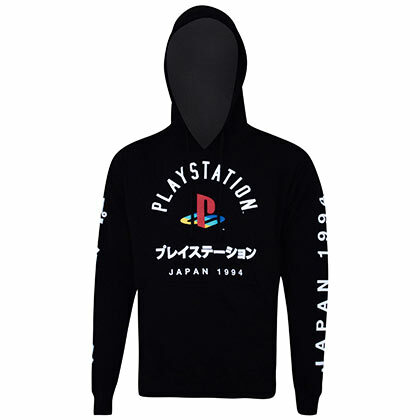 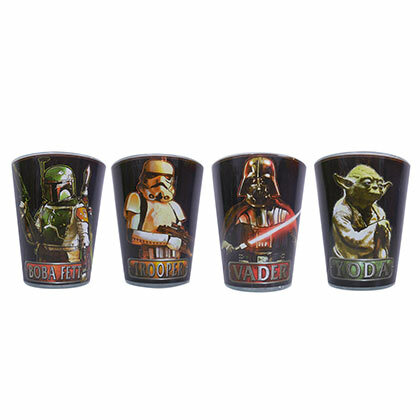 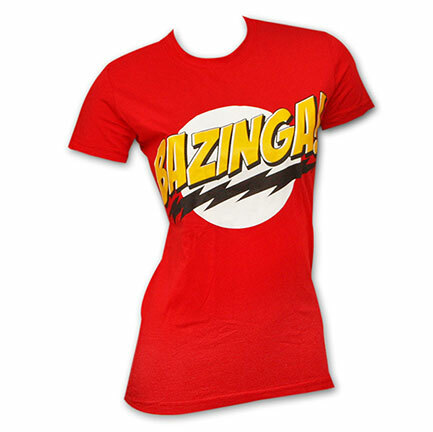 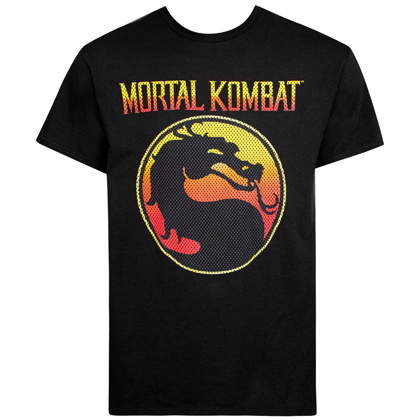 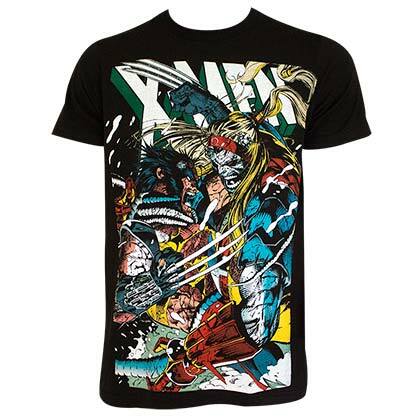 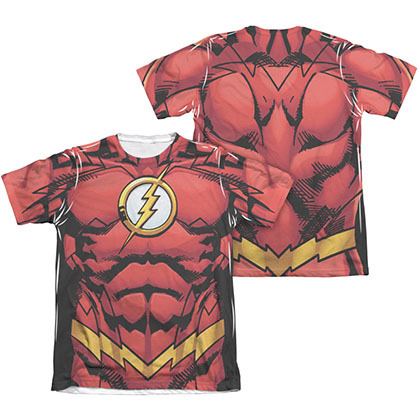 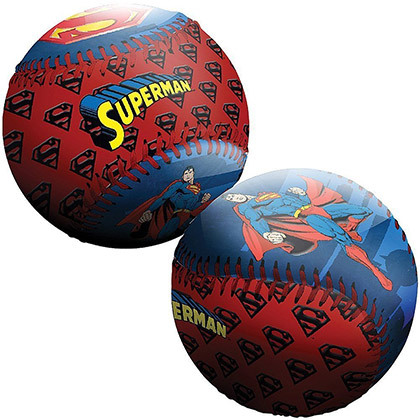 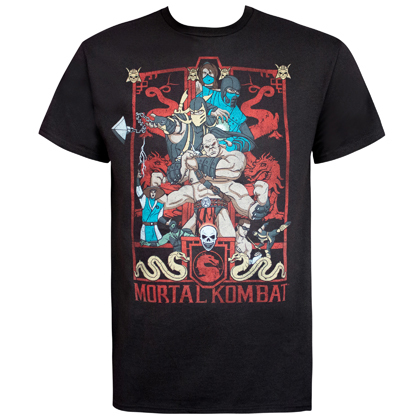 Shell is made from 100% PU and the interior is 100% polyester.